The Coyote S-Series combines all the power and function of a luxury grill with the durability of a Coyote grill. This 36-inch built-in gas grill features 18 gauge 304 grade stainless steel construction with a double-walled canopy and continuously hand-welded grill box with seamless edges. The C2SL36LP gas grill offers performance enhancing ceramic briquette trays that minimize flare-ups and distribute heat evenly across the 640 square inch cooking area. This propane gas grill is powered by three, durable cast stainless steel Infinity burners and one RapidSear infrared burner which deliver up to 75,000 BTUs of cooking power. Enjoy expanded grilling options using the 15,000 BTU infrared rear rotisserie burner to create succulent, slow-roasted meals. Use the included smoker box to infuse your grilled food with delicious smoke flavor. The burners are lit by an easy to use, push and turn ignition system while the internal halogen grill lights will keep you grilling into the night. This Coyote grill also sports stylish, orange LED illuminated control knobs. Use the removable warming rack to keep food heated until serving time and easily monitor the temperature inside your grill using the integrated thermometer. Choose Coyote and create the outdoor kitchen of your dreams with a grill made to last and give remarkable performance. Coyote S-Series, also known as the Sear Series, are top notch and are designed with power and durability. Under the hood, the Coyote S-Series Gas Grills feature 304 stainless steel cooking grids. These provide maximum durability, and great sear marks. For cooking surface versatility you can upgrade to the Signature Cooking Grates. These allow you to cook shrimp, fish, or vegetables at the same time. Under the cooking grids you will find performance enhancing ceramic briquette trays that minimize flare-ups and distribute heat evenly across the cooking area. We found they did a good job at providing even heat distribution and reducing continuous flare-ups. The Coyote S-Series includes the Cast Stainless Steel Infinity Burners. The Infinity Burners are packed with 20,000 BTU's cooking power each, and provide excellent high heat and lasting durability. The S-Series also includes a RapidSear ceramic infrared burner which provides steakhouse temperatures, right in your own backyard. The S-Series also comes with a stainless steel smoker box allowing you to add a hint of smokey flavor to your food. All burners are lit with an easy to use, reliable, push and turn flame thrower ignition system. Each S-Series grill comes with a rotisserie system featuring a 15,000 BTU ceramic infrared rear burner, and an included rotisserie kit. The rotisserie rod can be conveniently stored behind the grill when not in use, which is an added benefit to the S-Series. I love the look of the Coyote S-Series Gas Grill. This grill looks sharp with seamless polished edges, and accented with orange LED control knobs, which illuminates the front of the grill. While the S-Series has a lifetime warranty on the exterior Stainless Steel and the burners, it's not lifetime on every component. 5 years on the cooking grids, 2 years on the flame tamers, and 1 year on the valve and ignition. You want a durable, all 304 Stainless Steel Grill that looks as good as it cooks. 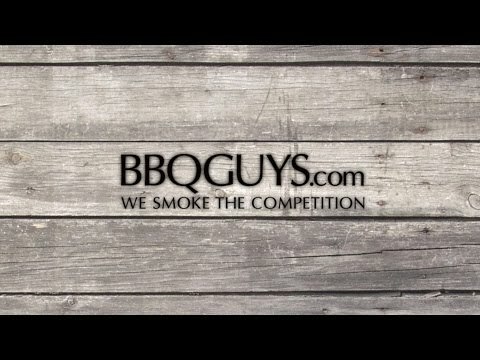 looking for a bbq that has a a place where you can put wood chips or charcoal for flavor? 33 1/4 X 17 1/4" 30 13/16 X 19 15/16" 31 1/2 X 19 1/2" 29 1/2 X 17 7/8"
32 1/2" 32 1/4" 42" 30 5/8"
20 1/2" 23 5/8" 24 5/16" 21 1/4"
10 1/4" 10 1/2" 36" 8 1/2"